For over 40 years our church has given out food boxes just before Christmas to those in the local community who are in need. 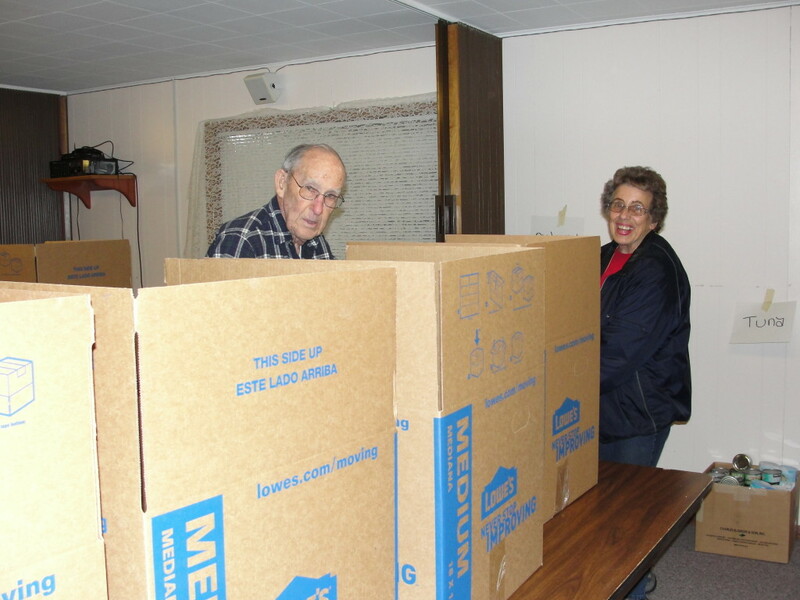 Members of the community and the church come together to fill boxes with canned foods, produce, turkey, pie and more, enough food for 2 weeks and a full Christmas dinner. 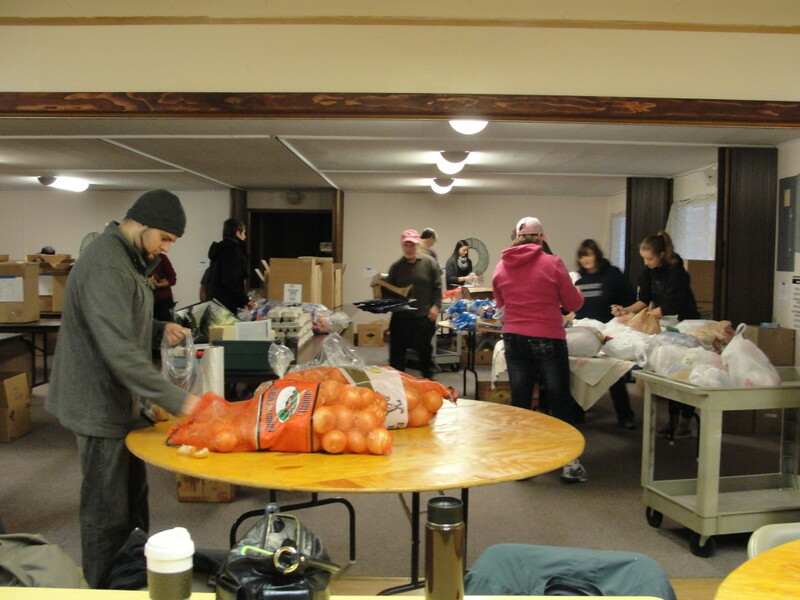 On average we serve 35 family units totaling around 150 people. 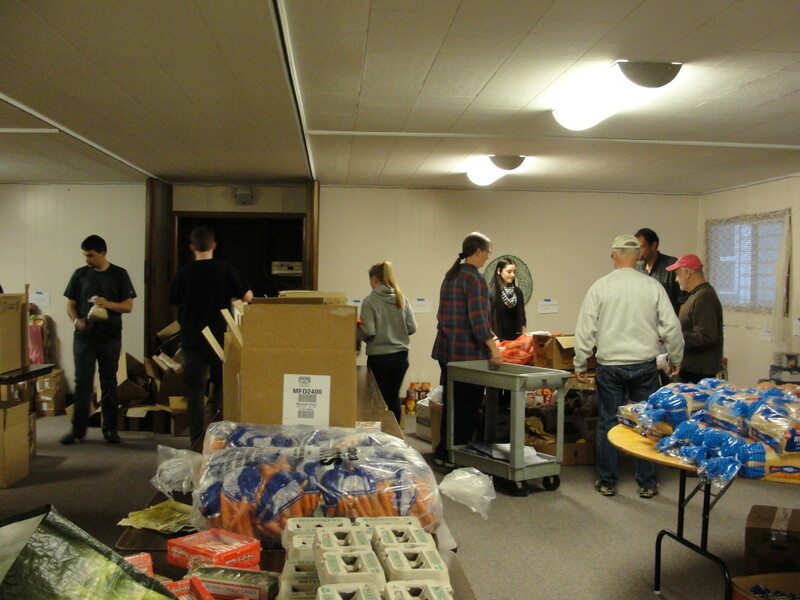 Funding for those foods comes from outside donations, purchases from the Oregon Food Bank, and donated turkeys. We recycle water/pop cans and bottles and that money goes to help with the purchase of food. We also have a “Food of the month” collection and those items add to our food supply.